Take a trip around The Great Sunshine Way and explore South East Queensland’s scenic attractions. See the ancient rainforests and prepare to be spellbound with the beach culture of the charming east coast. Indulge in a bit of whale watching at Hervey Bay and sail the Noosa Everglades. Look forward to a relaxing campervan rentals Australia vacation with your family. Set off from Brisbane en route for Glasshouse Mountains on the first day of your holiday. HMAS Brisbane’s wreck serves as a superlative diving site with clear water along with minimal swells. Check out the fabulous coral and shipwreck along with life-size bull & eagle rays, lion fish, squid and angler fish. Drive your vehicle north towards the Glasshouse Mountains. Explore the Glasshouse Mountains area on the day 2 of your rental motorhome Australia holiday. Soak up the spectacular views of the Sunshine Coast hinterland prior to setting off on an exciting adventure up Mt Ngungun. Take a trip to Hervey Bay’s pristine beaches and enjoy a whale watching cruise in the afternoon. See the magnificent Humpback Whales in the tranquil, sheltered waters between Fraser Island and the scenic Fraser Coast/Hervey Bay mainland. Noosa is the next destination from Hervey Bay on this exciting itinerary. Experience the winsome wilderness along Noosa River on an extraordinary cruise that takes you in the midst of Australia’s pristine regions. Glimpse the lakes, river and serene waterways of the famed Noosa Everglades. Go for a dip or glimpse the abundant wildlife around Noosa and do remember to capture these memorable moments on film. Drive down the scenic shoreline towards the city of Brisbane on the final day of your rent a campervan Australia holiday. Enjoy a refreshing round of golf at Australia’s most esteemed resort golf course namely The Glades Golf Club. Golfers can look forward to a taxing round of golf inside the stunning surrounds. Leisurely explore Brisbane which is an incredibly contemporary city and create your own adventures for a treasured holiday experience. 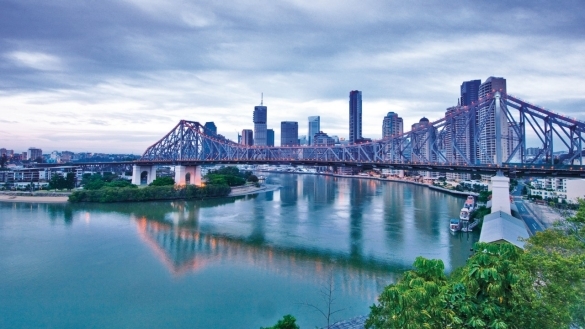 Conclude the idyllic self-drive holiday with your family in Brisbane. This entry was posted in Rent Campervan Australia and tagged campervan rentals australia. Bookmark the permalink.